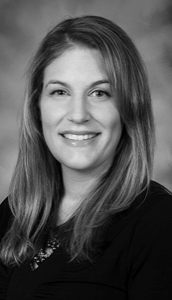 Tracie Koepplin is the Clinical Manager and Nursing Manager for Physicians Medical Center, located in McMinnville, Oregon. She has been in healthcare for over 20+ years. She holds a Bachelor of Science in Nursing and a Master Certificate in Health Informatics both from Oregon Health and Sciences University in Portland, Oregon. As the Clinical Manager, she is responsible for implementing and supporting clinical applications from the application-user and technical perspectives. She assists in critical analysis and documentation of system functionality, as well as testing and training of the product and employees. As the Nursing Manager she is responsible for planning, directing, developing policies, and creating quality improvement functions; administratively responsible for multiple clinical areas, nursing staff and operations. 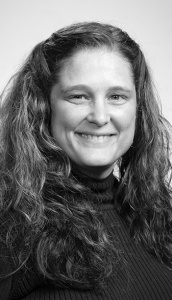 Stacy Allard is currently the Business Systems Developer for a network of Health Centers with primary responsibility for business software adaptation and implementation, including Electronic Health Record and Practice Management Systems, Project Management and IT System Analyst and Support activities. She works as a liaison between network members and central staff providing technical support, modifying systems and improving overall satisfaction. She has been in the Health Care industry since 1986 in positions that include Accounts Payable, Accounts Receivable, Office Management, Site Administration, Business Analyst and System Developer. She has a strong background in user training and support documentation and participates in both group and individual training support for the GE Centricity EMR and PM systems. She has designed and implemented GE Centricity EMR form components utilized across health centers horizontal network and central server configurations as well as for individual providers. She assists in compilation of Uniform Data Systems reports, including database management, program upgrades, end user training and documentation. She investigates new hardware and software to improve agency operations and trains staff on their use. Mary Glaze has been the Director of Information Technology for Moscow Family Medicine in Moscow, ID for the past 8 years. Mary received her Bachelor of Science in Sports Medicine and Business from the University of Idaho in Moscow, ID. She has worked in Healthcare IT for over 15 years. She started her work in Healthcare IT at Inland Northwest Health Services in Spokane, WA and was successful in implementing Centricity into multiple clinics including 15 different specialties. Moscow Family Medicine is a privately owned Family Practice Clinic that is currently combining with two other multispecialty clinics to create Catalyst Medical Group. Mary is a lead task force member in combining the three clinics CPS Systems and networks into one. Catalyst Medical Group will start with over 65 providers and 400 employees. When not at work Mary enjoys spending time with her family, including her two daughters at Lake Coeur d'Alene in Northern Idaho or cheering on her college team, the University of Idaho Vandals. 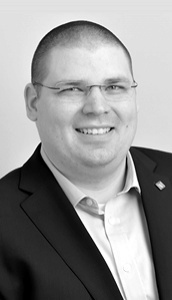 Derrick Bovenkamp is a Senior Systems Administrator at Family Care Network located in Washington State. His responsibilities include maintaining the EMR and Practice Management software and supporting environment. He also helps to supervise and guide technical staff. Derrick also teaches a class on Health Information Management Systems at Bellingham Technical College and volunteers regularly as an Eagle Scout Board of Review member for the Boy Scouts of America. When not working or teaching he spends his free time with his Wife and Son. 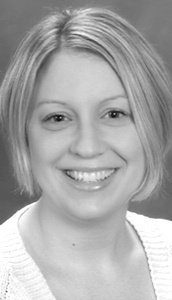 Molly Kapusta serves as The Primary Health Network’s Executive Director of Informatics. She joined The Primary Health Network in April of 2009. Molly earned her Bachelor of Arts degree in Business Communication from Thiel College in Greenville, PA. She received her Masters of Science in Leadership and Business Ethics from Duquesne University in Pittsburgh, PAAs the Executive Director of Informatics she is responsible for managing the implementation, training, development, and application support of the electronic health record and document management throughout The Primary Health Network service locations.The Primary Health Network is a community based organization that provides comprehensive primary care and preventive care, including health, oral and mental health services, to persons of all ages, regardless of their ability to pay. The Primary Health Network has grown to include 45 service facilities throughout 13 counties within Pennsylvania and Ohio. We employee over 165 physicians, dentists, physician assistants, CRNP’s and other healthcare professionals; have a support staff of over 400 employees and reach more than 118,000 people annually through our health and educational services. 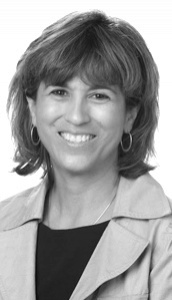 Terri is the Healthcare Informatics Supervisor at New Mexico Orthopaedics located in Albuquerque, New Mexico; where she is responsible for leading continuous improvement initiatives for the practice. She is also responsible for the maintenance of patient records and organizational/administration operation of the Health Information Management and Release of Information departments. Prior to that she was the System Administrator for Southwest Gastroenterology Associates where she maintained various software applications which were used in conjunction with Centricity Practice Solution. She also assisted end users on a daily basis with any questions and/or challenges they faced while using those applications. 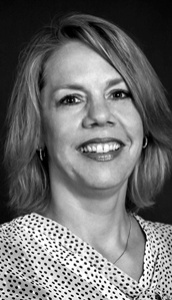 Terri is a former member of the Centricity Healthcare Users Group where during her tenure she participated on several committees, including membership, planning and advocacy. She began as a member-at-large and ultimately held the positions of president-elect and president. She firmly believes that it "takes a village" when it comes to effectively learning about and using Centricity. 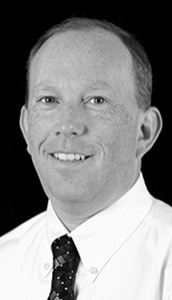 David Swartout is an Owner and the Director of Operations at Mountain View Medical Center. He received a Bachelor of Science degree in Business Management as well as Marketing from Portland State University, and holds a MBA from Colorado State University. Mountain View Medical Center is a growing Family Practice with two locations in Forest Grove and Hillsboro, Oregon. MVMC is a tier 3 medical home certified by the Oregon Health Authority, and an active participant in Comprehensive Primary Care Initiative (CPCi) which is a CMS sponsored program created to test different models of primary care delivery. Hired in 2008, David is responsible for all day-to-day operations of the clinic as well as the creation and application of office policies and procedures. He also maintains the operational support of health care delivery in order to maximize efficiency and improve patient care while ensuring business profitability. David is an expert in LEAN principals and was responsible for managing the clinic from paper to electronic medical records. As a married father of three, David enjoys family activities; he is an avid golfer, and photographer, and enjoys wake-boarding and skiing. 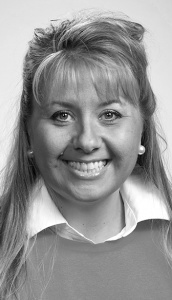 Brandie Mikesell currently serves as Director of Clinical Quality Assurance for the University of Arkansas for Medical Sciences Regional Programs. She has extensive knowledge in practice transformation health initiatives and has lead the implementation of Meaningful Use (MU) of Electronic Medical Records (EMRs), Patient Centered Medical Home (PCMH), Arkansas Medicaid PCMH, Comprehensive Primary Care Initiative (CPCI), and is currently leading CPC+ in 5 clinics across Arkansas, utilizing her experience in public health and education. She is also a doctoral student in Public Health.